Carrier Insurance Agency, located in the heart of "Olde Towne North", was founded by Willis Carrier in the early 1960's. Carrier Insurance Agency is an independent agency dedicated to producing quality insurance products with A+ rated companies and exceptional service. No one person is the same or has the same needs and at Carrier Insurance Agency we take pride in our ability to tailor an insurance program to fit you. When we complete a sale, our obligation to you does not end. Rather, we will give you the best possible personal service available. 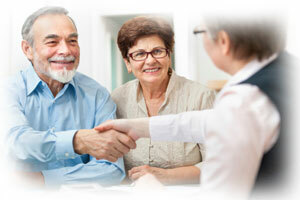 Our professional staff has decades and decades of experience to serve your insurance needs. This agency was built on the reputation of providing excellent claim service in the event of a loss. We have a commitment to maintain a high standard of excellence in all that we do and to establish a relationship of mutual trust and service with each of our clients. We would appreciate the opportunity to serve you. Give us a call today!